Why Bother Keeping Your Gutters Clean? Why Should I Bother With Keeping My Gutters Clean? This is a legitimate question. 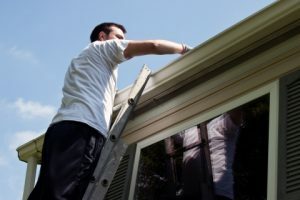 Many homeowners simply install gutters on their home without really understanding what they do, so it’s not all that surprising then when proper gutter care falls to the wayside. Gutters protect your home’s integrity and are a key component in making sure rain water is diverted away from your home’s foundation and basement. They also keep water from pooling up on the concrete walkways around your home. When water builds up in these places, mold and moss can easily form. Not only does it look bad, but it makes it easier to slip and fall on. Gutters also protect key areas of landscaping and helps keep your grass and trees alive by preventing overwatering. Overall, your gutters are some of the hardest working components of the exterior of your home. However, they need your help if they are going to function at full capacity. 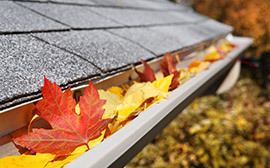 Each year, your gutters can become clogged with leaves, debris, pine needles, and more. While this may not sound like a detrimental problem, if left alone for too long, water will no longer be able to run properly though your gutters, potentially creating severe property damage problems. Cleaning your gutters is not as fast and simple as many homeowners think. Whether you know from experience or you have seen your neighbors try to clean their gutters, you should let the experts take care of this tedious task for you. That’s where Iron Horse Gutter Works comes in. We are the premier gutter company in Syracuse, offering gutter cleaning, seamless gutter installation, or the application of LeafLock — a premium gutter guard system. Why Choose Iron Horse Gutter Works? Our professional crew at Iron Horse GutterWorks has many years of experience and knowledge when it comes to the dirty work that is taking care of gutters. Because we’ve been at this for a long time, we’ve seen gutters in every state of disrepair. And we can frankly say, there’s never been a job too big or too messy for us for us to handle. When you get gutter cleaning with us, you know we’ll get the job done right the time, each and every time. We have the right stuff and the right technique. Using proper equipment like standoff ladders, and paying attention to all the details, we take our time to clean your gutters by hand, flushing out all downspouts and removing all debris. As a fully insured company, you can trust that when you work with Iron Horse GutterWorks, you are working with knowledgeable gutter experts who actually care. Treating your home as if it was our own, we believe in going above and beyond to leave your gutters in superior condition. In fact, we are satisfied with nothing less than the highest standards when it comes to your gutters. Our goal is not just to make your gutters look good, but to leave you with the peace of mind knowing your gutters are going to protect your home through every season. 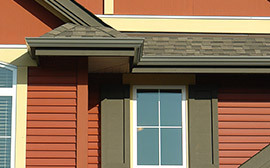 In order to make that as easy as possible, we offer convenient gutter service plans. 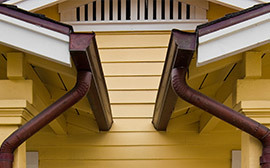 We currently offer two gutter maintenance plans, a basic plan and a gold plan. While you can see our services plans in detail by checking out this page, here are some of the benefits you’ll reap in regards to gutter cleaning. The best part of getting routine gutter maintenance with Iron Horse Gutter works is the fact you can be hands off and leave the work to us. Often times, when it comes to home maintenance, gutter cleaning is one of the last items on your list. Don’t worry, we’re not offended. We understand how busy life can get. This fact gives us the unique opportunity to serve you. Our service plans help ensure your gutters are taken care of year round. We’ll work with you to schedule gutter services around your timetable. 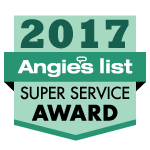 Our gutter experts will keep you informed of all our work and make recommendations in case any repairs or replacements need to be done. Call our experts, and we will have your gutter cleaning done in no time! To find out more about our gutter cleaning service plans, and for a complete inspection of your gutters and downspouts, click here to learn more. Why Invest In Professional Gutter Cleaning? We get it — cleaning out your gutters may seem like an easy DIY task as homeowner. And in some cases, that’s true. However, even in those situations, we recommend that you let a professional clean out your gutter system for multiple reasons. Here are a few benefits you’ll reap from professional gutter cleaning. When you have clean gutters your home’s curb appeal goes up. Gutters that are in a state of disrepair, or are simply full of debris, are unsightly and can affect the way others perceive your home. Clean gutters also help protect your roof — another key part of the curb appeal of your home — from damages. When you get routine gutter cleaning, you’re investing in the aesthetic appearance, and thus the perceived value, of your home. Your gutters are located on your roof, which is at least one story tall. Getting up that high to clean out your gutter system can pose a serious hazard to your safety, especially if you’re not very experienced. The difficulty of gutter cleaning increases exponentially when you have a two story home or a multi-story commercial property. For this reason alone, it’s better to let the professionals handle your gutter cleaning to ensure you don’t accidentally injure yourself. When your gutters are filled with debris — such as twigs, leaves, or pieces of trash — it serves as a convenient nesting and breeding ground for mice, rats, birds, and even mosquitoes. When organic matter decomposes, it becomes food for tree seedlings and fungi. Not only will this cause damage to your gutters and potentially your roof, it’s one less place these pests can call home. There’s enough areas around, and inside, your home for these pests to take up residence. Cleaning your gutters out regularly can help ensure they won’t become another one of them. During the cold months, clogged gutters can trap ice and add more stress to your roof with the amount of weight. If your roof is already on its last legs, it very well may start to collapse. Even if it’s not, the extra strain will help get it there sooner. While it may not get as cold as it does in the Midwest here in Syracuse, the simple fact is it still freezes in the winter. When the ice and water can easily flow from your roof, your gutters will be able to properly do their job and protect your roof, rather than harm it. Prevent Flooding During Hard Rains. When your gutters clog up, they’re more likely to overflow and cause structural damage to your home. This is especially true when bad storms come through and bring in 3 inches of rain or more at a time! Investing in professional gutter cleaning will ensure everything is cleared from your gutters to prevent flooding. Consistent cleaning will make sure you’re prepared for the next time a massive rain storm comes through. You can’t control the weather, but you can make sure your property is as prepared as possible to endure nature’s worst. Emergency repairs are usually more expensive than general maintenance services. When you have a professional regularly scope out your gutters, even if just for a cleaning, you’ll avoid minor issues before they become major problems. On top of that, when you choose a professional gutter company, they’ll be able to keep you apprised of the health of your gutters. This means they’ll be able to recommend repairs or replacements before even bigger problems occur. When it comes to gutter cleaning, you shouldn’t settle for anything less than the best, especially when it can be done by a locally-owned-and-operated company at an affordable rate. When you choose Iron Horse Gutter Works for your gutter cleaning, you won’t only get quality work, but exceptional customer service. We won’t simply clean out your gutters, we’ll keep an eye on them so they stay at optimal health. Your home is one of the most significant investments you’ll ever make. Protect that investment. Keep your gutters clean. So, what are you waiting for? Start reaping the benefits of our professional gutter cleaning service. To schedule a gutter cleaning service with our established gutter company, contact us today. You can reach us by calling (315) 275-2620 or by completing our online form. We look forward to the opportunity to service you.